My home gym that I have assembled in Metamora, Illinois has been quite the process, but it has finally all come together. I am sure there are many of you home gym enthusiasts that can identify with my goal of putting together the best home gym possible. Perhaps you can learn from some of my mistakes and some of my victories from undertaking this achievement. Years ago, I had assembled a small garage gym back at my old house out in the woods. Living in Illinois, the detached garage could have used some insulation as I was bundled up with layers of clothes during my winter workouts. Sometimes it could take me longer to get ready for the workout than the actual workout itself lasted. This gym consisted of rusty dumbbells, a bench press, a punching bag, elastic bands, and about five hundred pounds of free weights. It was very basic, but I did well with what I had. When I sold my house, I did what many home gym owners do. Instead of moving the heavy equipment myself, I just put a few Craigslist ads up and sold it all off piece by piece. Is it risky inviting people from Craigslist to come out to my house in the woods in the middle of nowhere? Probably, but they likely were thinking the same thing as they pulled into my driveway and saw a large man with a shaved head waving them down. Once I became married, my wife started having ideas about us building a new house. It was not something I exactly was looking forward to, but I nodded my head and like most husbands, hoped my wife forgot all about her latest scheme. Well, she didn’t, and we spent the last year finding suitable land, determining which contractor to go with, and figuring out the lay out of our new house. 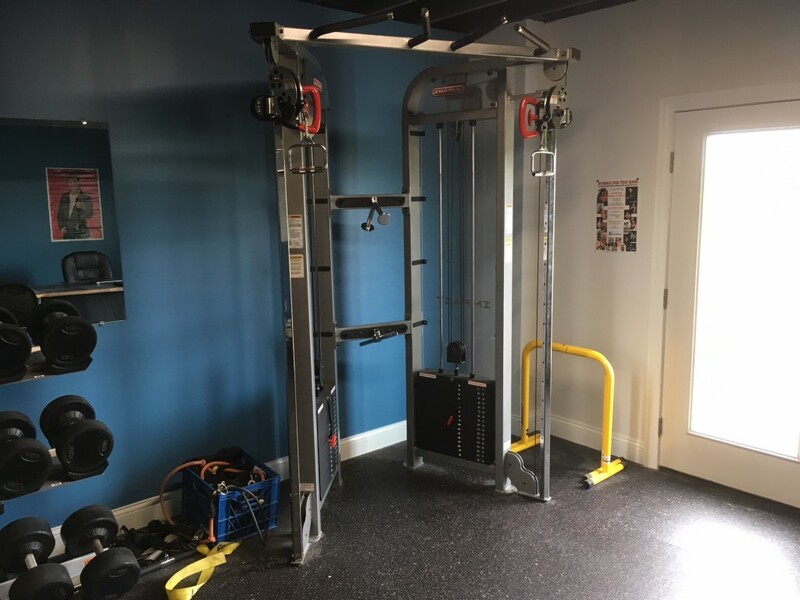 Part of the design included a thousand square foot room in the basement with a walkout door to the outside that we figured would be perfect for a home gym. 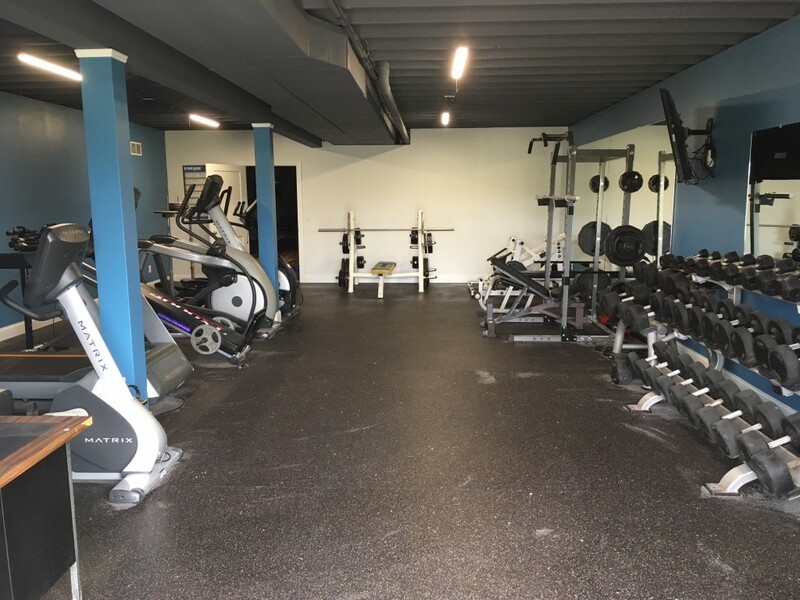 After the workers had poured the basement, studded the walls, and finally put up drywall, I set out purchasing the rubber flooring for the gym. All the local areas were charging well over two dollars a square foot for their rubber flooring. In fact, most were charging three dollars or above. I was lucky enough after hours of researching online to find brand new rubber flooring rolls for just over a dollar a square foot. They were thick enough to protect the cement and did their job. Of course, it was a bit of a pain when the five rolls showed up and they were each over 300 pounds. However, with some good friends, we installed the flooring in about half a day with no prior experience whatsoever. Everyone knows a home gym needs some quality mirrors. Not only do the mirrors help your form while lifting, but it is nice to see how far your body has come with each workout. 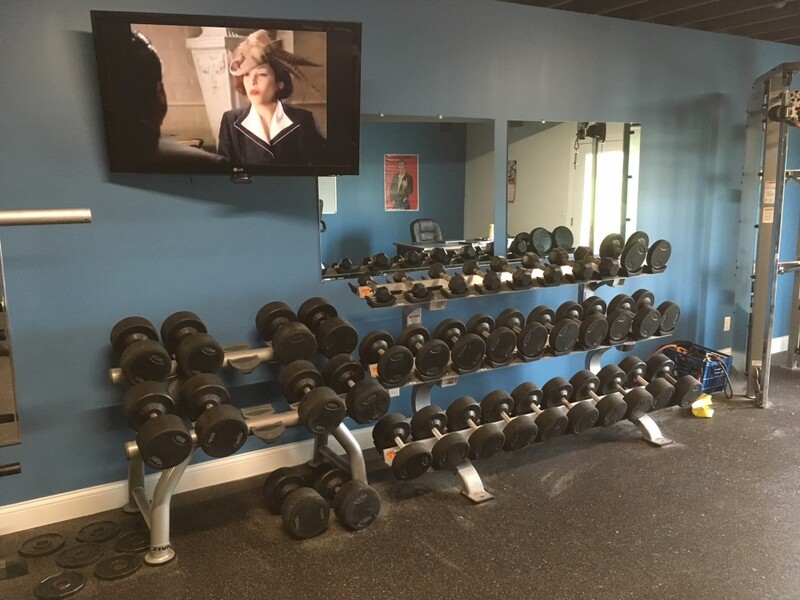 I hung up a couple three feet by five feet mirrors myself, but if I was going to fully pimp out this gym, I wanted a couple large fitness mirrors. Again, checking with local businesses, two mirrors installed that would be approximately six feet by eight feet in size would set me back about $1,500. No matter how much negotiating I did with the local companies, they wouldn’t come down much lower. Fortunately, I found a company that drives around the country offering these large mirrors at a discount. Plus, they install it themselves. I had to wait a few weeks, but when they finally came around to my area, they had the two large mirrors fully installed in about an hour. It cost me a little less than half the price that the local glass and mirror companies wanted to charge me. I used to train people back in the day and found that I really enjoyed it. Knowing that I would like to do this again from my own home gym, I made sure that I was looking for only quality equipment. 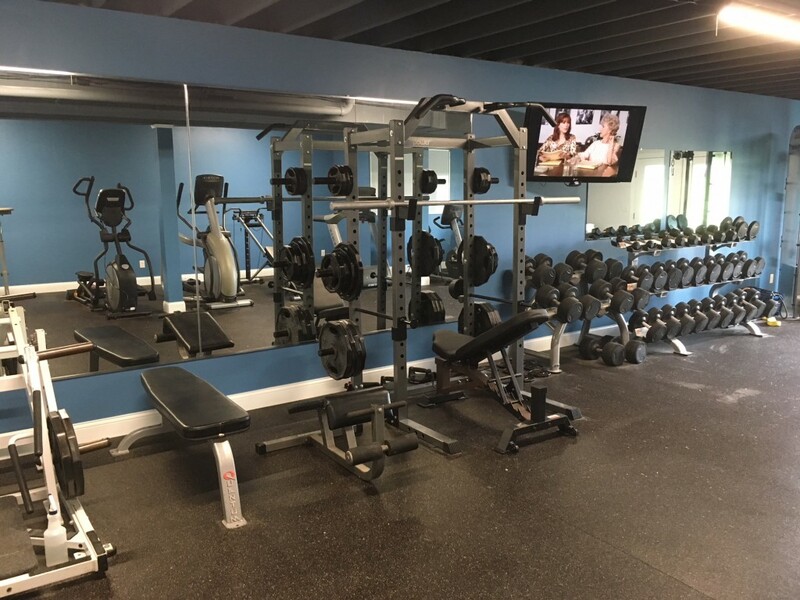 I wanted as much commercial equipment as you would find in professional gyms and fitness centers as possible, as long as it was something that I truly needed. I didn’t want five different leg machines to take up space when I knew I could do just as well with a squat rack and vertical leg press. Besides, even in the busiest gyms, those leg machines get very little use at all. They are usually the only machines that you do not have to wait on. I didn’t want to eat into the valuable 1,000 square feet I had to work with. While my idea of cardio is to lift weights faster, I knew I needed a few pieces of cardio equipment in my home gym. Plus, lately my cardio level is that of about a 90-year-old man, so I could use a bit of work. I definitely wanted commercial cardio equipment, but a brand new commercial treadmill could cost just under ten grand. 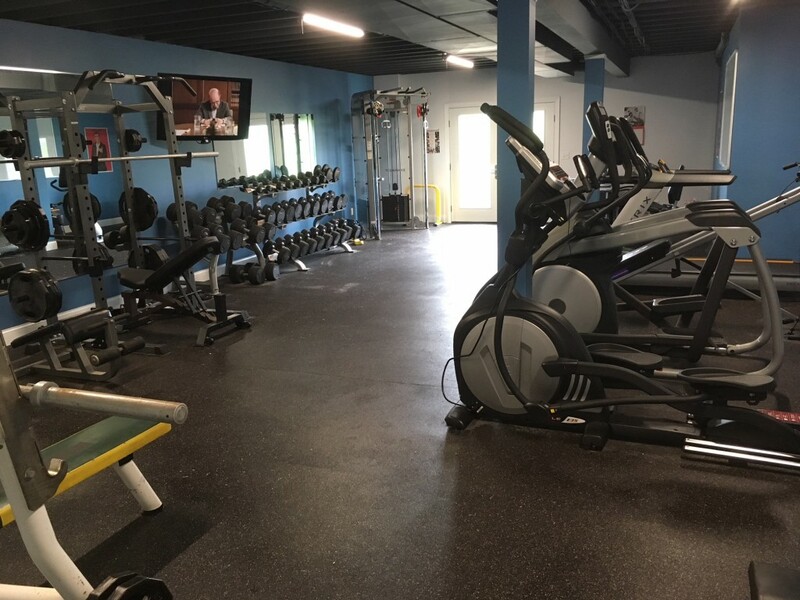 I contacted a place that deals with slightly used commercial gym equipment, and they had some cardio machines that were only three years old and still had a lot of life in them. Commercial cardio equipment is made to be operated 15 hours a day, seven days a week. I won’t be coming anywhere close to this usage, so I am hoping the pieces I bought will outlive me. I went with a Matrix treadmill, a Matrix elliptical, and a Matrix recumbent bike. They all have touch screens, fancy workout programs built into it, and cost about $1,500 each. 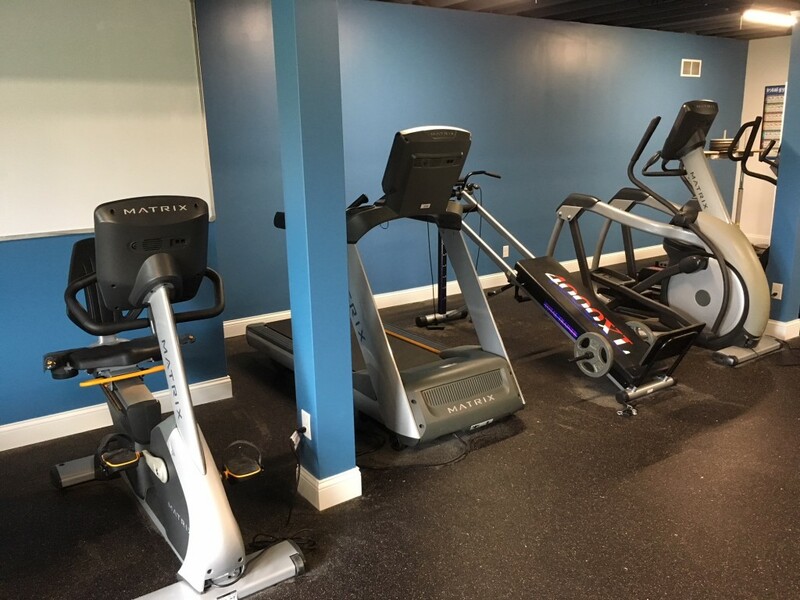 This is quite the deal when you consider those small treadmills that are built only for home use can run you the same amount if not higher and do not come anywhere close to commercial grade. Every home gym needs a good set of dumbbells. 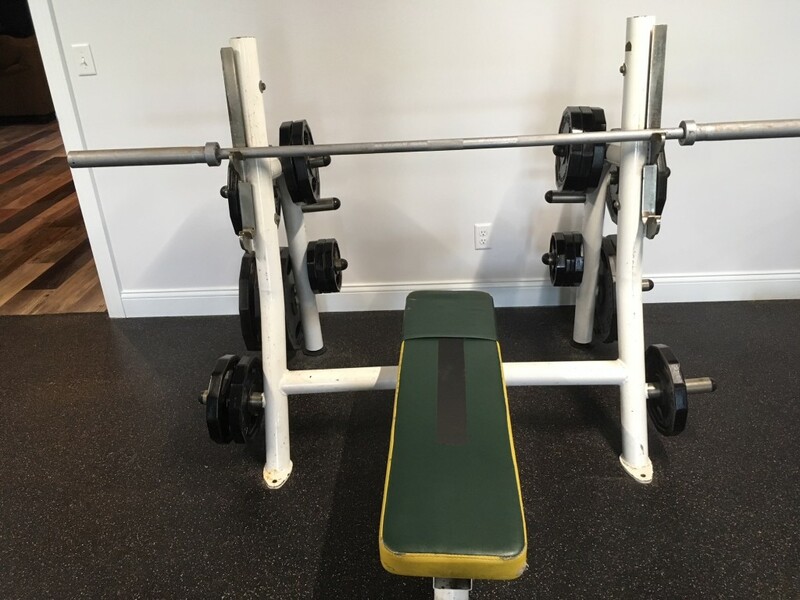 I would have been fine going with an old set of metal dumbbells ranging from five pounds to one hundred pounds, but I could not find any on Craigslist that were a complete set and under two grand. 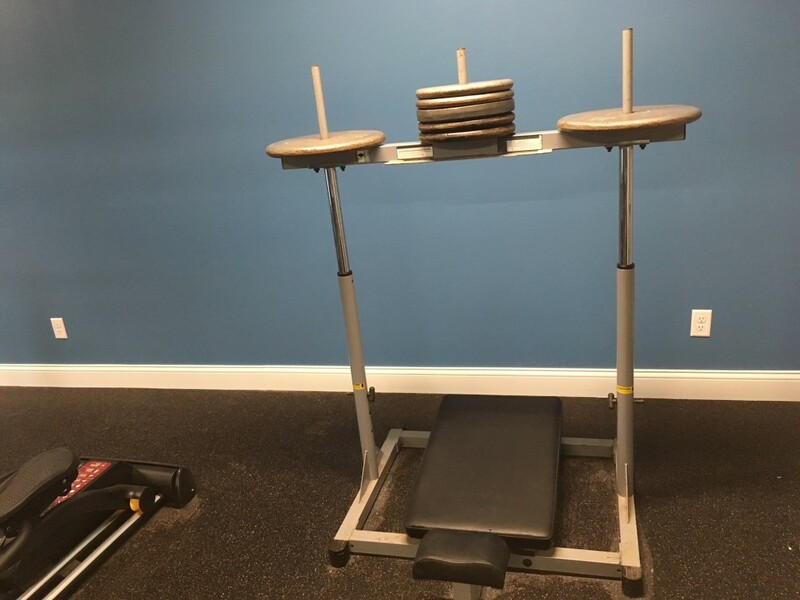 Once again, I contacted a company that deals with used gym equipment and came away with a quality set of urethane covered dumbbells (think rubber coated) and two commercial racks for $2,000. It was much more than I originally wanted to spend, but they delivered for free and set it up as well. As stated earlier, my old garage gym had about 500 pounds of free weights. I knew that I needed a bit more weight so I didn’t have to constantly hunt down plates in the middle of a workout. 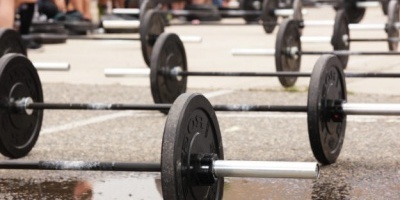 I agreed with another company to purchase one thousand pounds of free weights that were previously used at a gym. The great thing about them was they were octagon shaped so they wouldn’t roll, and they had handles built into their design. Also, I was getting two 45 pound commercial grade bars to go with it that supposedly could stand up to over 700 pounds of weight without bending. This is when it got a bit tricky. The company tried delivering to me weights and bars that were a bit rusty. When handling them, the rust would leave marks on your hands and clothes. It was a mess. I told them that I was not interested in having these weights. They would require a bit of rust removal and then have to be sealed. They offered me an extra thousand pounds of these weights if I just took them at the agreed upon price of $800. So I came away with 2,000 pounds of free weights and two heavy duty bars that needed to have rust removed and sealed. After using a vinegar solution on them to get rid of some of the rust, I loaded up my vehicle and visited the local carwash and basically power washed them clean. If you ever want a great workout that will leave you exhausted and soaked, try loading and unloading 2,000 pounds of weights a few times. After I was finished, I sealed them (it took some time since I had to do both sides of every plate) and came away with an awesome weight set. I did a bunch of hunting on Craigslist to round out the rest of my gym. I purchased a used commercial bench press that the person did a bait and switch on me with. I showed up expecting the bench I saw in the picture, but instead he had one with a tear in the padding and it was green and yellow in color. He gave me a hundred dollars off on price, but I still kick myself for taking it. However, even if I am not fond of the appearance of it, it can definitely hold up to the weight. I ended up ordering a squat rack online after reading a hundred reviews on Amazon (Body Power Squat Rack). It was not commercial quality, but it was still heavy duty enough for the weight I was squatting. Plus, it had a pull-up station and a dip station built into it. For a couple hundred dollars, it was definitely good enough for what I needed. I had bought a vertical leg press years earlier and it was the only piece of equipment I had kept all along. You don’t see many of these around anymore. I do notice people at the gym trying to do this as they lay on their back under the smith machine and push the bar up with their feet, but this seems like a recipe for disaster. One slip up and your knee could be going straight into your teeth. This vertical leg press was much safer than trying to do that balancing act. I knew I needed a commercial cable crossover (Star Trac Cable Crossover) for my home gym. I took quite a financial hit with buying a used one, but I use it during every workout. It has plenty of various handles and two weight stacks that have enough weight for even the most powerful weightlifters. I also found an ab bench, elastic bands, and (some of you may laugh) a type of Total Gym that you see Chuck Norris pitch on infomercials (the Total Trainer). Unfortunately, it did not come with Christie Brinkley. Lastly, I found a shrug/squat machine (Hammer Strength) at a good price as well . In total, all of this miscellaneous equipment cost an additional $3,000 dollars. I had a constant running tab in my head while I was creating my dream home gym. I spent a little more than I originally wanted, but I now have a home gym that is comparable to most small commercial gyms. It set me back close to $12,000 in total. I could have saved money if I would have waited for better deals, but time was a factor and I wanted everything done by the time we moved in. Plus, everything was delivered free except for a few minor pieces. Furthermore, when you consider my wife and I were spending just under $100 a month for gym memberships, it will all balance itself out over time. In addition, we no longer have to drive ten to fifteen minutes to get to the gym, can wear whatever we want while working out, and no longer have to be at the mercy of other gym-goers while waiting for a piece of equipment to become free. Additionally, when I begin to train other people now and then, it will become a solid investment not just financially, but for bettering our overall health and fitness. I was able to choose a blue and white paint combination that made it appear like a real gym you might walk into off the street. My home gym has only been together now for about three weeks, but I keep finding things that add a finishing touch. 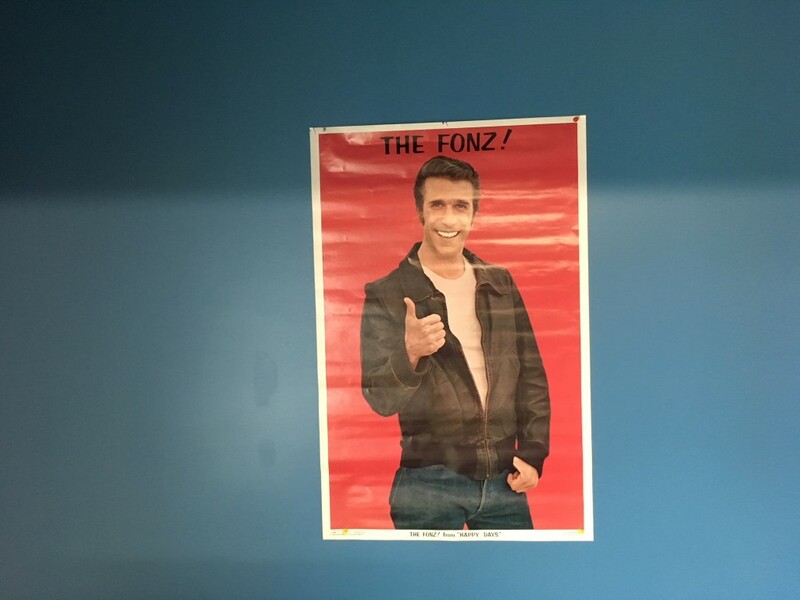 I had a whiteboard from my years of teaching and a poster of the Fonz that adds a bit of class to the space. Even though the Fonz was not the biggest guy, it is nice to know he is always looking over my shoulder as I lift.